I've enjoyed playing both of the Borderlands games and I'm here to discuss the story elements and different mechanics of the games that I've fallen in love with. If you haven't played the games before I hope that this page will be able to help you decide on whether or not you want to play this game series. If you're like me and have loved the series since it's release then leave me a comment at the end of the page, I always love to hear from gamers that have enjoyed similar games to myself. Don't forget to vote for your favourite game from the series below as well. For me personally I enjoyed the second game more because it felt much more refined, it wouldn't be the same experience without the first game to set it up though, don't get me wrong. Randomised loot that encourages you to hunt for the perfect weapon. Several gun types with universal ammo. Multiple classes with their own unique skill trees and abilities. A unique and strange sense of humour. Plenty of focus on co-operative gameplay. The first game in the series of Borderlands games sets up plenty of important story elements that are built upon in the next game. This is the game that first got me hooked on the series and it's a must starting point for newcomers. The game is set on the planet of Pandora which promises riches housed in an ancient vault. The player is hired as a "vault hunter" to seek out this alien artefact that is hidden away and hopefully track it down for the mysterious person that has hired them. The game definitely takes you a while to wrap your head around the entire story and you'll have to carefully listen to the early dialogue to make sure you understand what is going on. Along the way you'll slowly uncover the many truths that lie waiting while finding all sorts of gear, gaining experience and driving around. All of these elements combine seamlessly and makes it a very fluid game. Along the way you've got near endless quests to except from the various job boards, odd characters to interact with and plenty of bosses that you can even farm for more equipment in a similar way to the Diablo series. The first game really only scratched the surface of what the series would eventually produce but was still great in it's own right. Borderlands 2 was a worthy sequel to the original and while it didn't change too many of the mechanics the game definitely refined many of them to improve on the experience. Most notably was the more thought out side missions and the improvements of co-op features to include more end game style content for you to explore with your friends. The game is set half a decade after you first Borderlands adventure as a new antagonist named Handsome Jack comes onto the scene to secure the new mineral of Eridium that has come into existent after the events of the original game. He now rules of the planet of Pandora with a dictatorship style amidst rumours that an even larger vault still lies hidden out there. You are once again a vault hunter in this story who after left for dead after an attack from Handsome Jack you vow to stop him. Along the way you'll run into the vault hunters of the previous adventure which does give you some connection to the original. You'll also have a number of other returning characters who are now fighting on the side of the rebels. Classes return this time around wit similar roles to fill and skills to use to the original and still have plenty of depth for you to play the game in a number of ways. 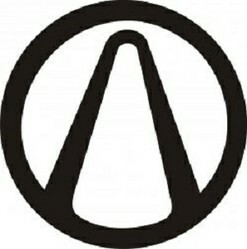 Have You Played The Borderlands Games Before? Learn more about the different champion roles in League of Legends and how to effectively play each of them. Here's my complete guide to mastering Poppa's Hotdogeria, and unlocking all of the characters and tasty ingredients.